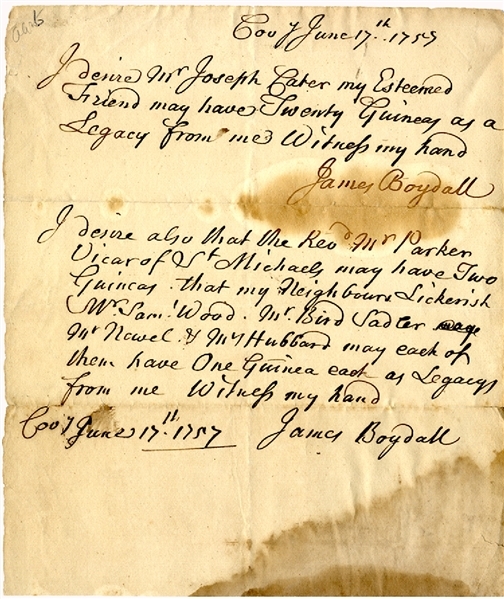 Autograph Letter Signed “James Boydall” 1pp. quarto, June 17, 1757, stating it is his desire that Joseph Cater and Rev’d Mr. Parker, Vicar of St. Michales, have a share of his estate. Very good condition.